Ben Kennedy, the great-grandson of NASCAR founder Bill France Sr., will expand his leadership in the family business in 2019, becoming the managing director of racing operations and international development. Kennedy, 27, was named managing director of the NASCAR Gander Outdoors Truck Series one year ago. In his new capacity, he will work alongside Steve O’Donnell, NASCAR Executive Vice President and Chief Racing Development Officer, and others in the sport’s front office. O’Donnell said Kennedy will take ownership of new projects and expand his reach globally to include NASCAR’s racing series in Canada, Mexico and Europe. “We felt like when we sat down and we looked at this and we put this model together that the efficiencies are going to come with the fact that those highly skilled inspectors are going to be in those individual garages and living in those garages,” Sawyer said. “The scrutineering of the vehicles, whether it be trucks or cars, those are the things our inspectors will be living with all weekend. 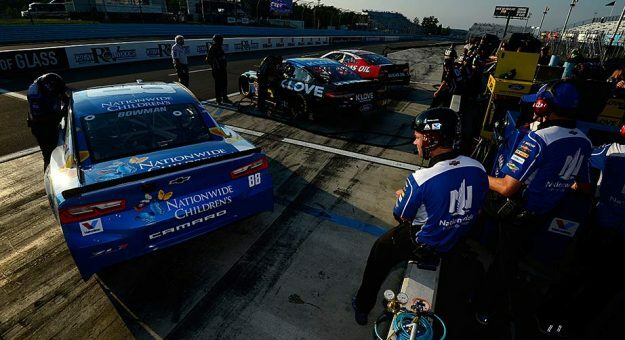 That’s not to say they won’t work in other garages, but 95 percent of the time, they’ll be right there in that garage and working with the teams and trying to correct any issues they may have.